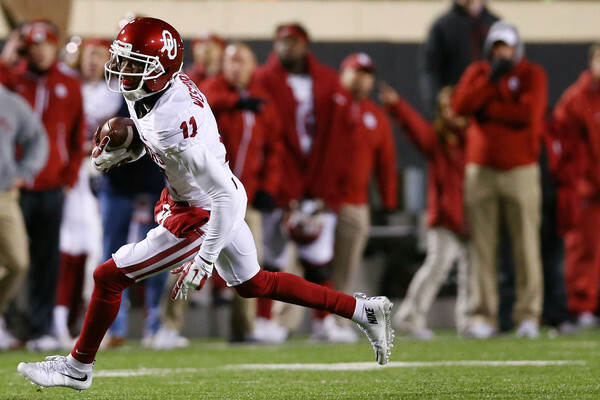 Sooners wide receiver Dede Westbrook moved into the top spot on ESPN's “CFB Rank” of the top 50 players in college football this week. Ten writers were asked to grade players from across the country on a scale of 1 to 10, with 10 being the best possible score. Westbrook had an average score of 9.9, beating out Louisville quarterback Lamar Jackson by a tenth of a point. “He's just been off the charts,” Stoops said. “Just so electrifying.